A Perfect Circle was formed in 1999 by guitarist Billy Howerdel and Maynard James Keenan. The band is a rock super group and contains members from other bands. Maynard Keenan writes the lyrics and Billy Howerdel composes the music. The band has gone through various line ups over the years, and are currently working on a fourth album. 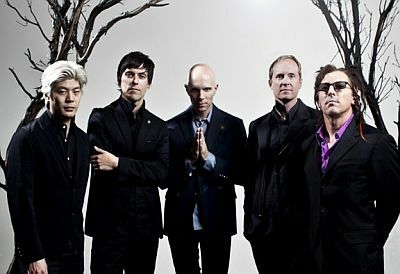 The current lineup includes Howerdel and Keenan, along with guitarist James Iha (formerly of Smashing Pumpkins), bassist Matt McJunkins (Eagles of Death Metal) and drummer Jeff Friedl (Puscifer). A Perfect Circle recently announced a spring tour US tour, their first since 2011. The tour starts off on April 7th at The Pearl in Las Vegas, Nevada and will be ending on May 7th at Hollywood Bowl in Los Angeles, California. The tour is only a month long and will also include dates in Texas, Florida, Missouri, Arizona, Utah, Colorado, Oklahoma, Georgia, Tennessee, and North Carolina. A Perfect Circle can also be found playing at musical festivals this year. Be sure to check the tour dates and see if there is one close by your location. Tickets will sell out fast and many fans are excited about this tour. Tickets go on sale on for non-festival shows on January 13th at 10AM. Make sure to camp out at the box office and get your tickets early before they are all gone. A Perfect Circle will be playing the Welcome to Rockville festival in Jacksonville, Florida, the Carolina Rebellion festival in Concord, North Carolina, and also the Fort Rock Festival in Fort Myers, Florida this year. Frontman Maynard James Keenan can also be seen fronting his other band Tool, who is headlining the 2017 Governors Ball festival in New York City. With so many tour dates and festival dates available it will be easy to plan to see A Perfect Circle live this year. It's been almost 13 years since the last A Perfect Circle LP came out and the band is back in the studio working on a new record. Many fans are excited about hearing new songs from the band whose last album release was "eMOTIVe" which came out in November of 2004. After such a long time without any new material it is exciting for fans to hear the band is back in the studio working on new material.